Eastlake, Ohio – There is a new look coming to Classic Park in Eastlake. A new video board will be erected as part of the renovations coming to the park that The Lake County Captains call home. The Captains enter their 15th season and made a major announcement, revealing plans to construct a brand new video board, which will cover approximately 1,100 square feet, roughly three times the size of the old scoreboard. Eastlake Mayor Dennis Morley (R) and Judy Moran (L) are spearheading efforts for Miracle Field, were on site to introduce plans to guests attending. Another exciting announcement during the Hot Stove event detailed a plan to create a “Miracle League Baseball Field and Inclusive Playground” for Special Needs children in Lake County, which will allow developmentally disabled kids to play baseball and other sports on a specially made playing field, the first of its kind in Northeast Ohio. The Hot Stove event was held Thursday evening at the new field house where season ticket holders gathered to hear from the front office and new manager Larry Day. Day was the hitting coach for the Lynchburg Hillcats, also an affiliate of Cleveland. “I think the biggest thing with Frankie during that (50-game hit-streak) was not only did he have that streak, but he’s also a catcher. The catcher side of it made him have to prepare for the opposing lineup, so he couldn’t be consumed by (the thought of) getting a hit and thinking about a hit-streak,” said Day. Next to Day was long time Cleveland Indians pitcher Greg Swindell who the team is looking to for leadership and coaching of the young pitchers in the Single-A Indians affiliate. Swindell shows off his prized possession World Series ring that he is so fortunate to have today. 2017 will be the first full season for many of the Tribe’s promising prospects to make their step towards reaching the show. Former-Captains Francisco Lindor, Roberto Perez, Tyler Naquin, Cody Allen, Corey Kluber, Ryan Merrit, and Jose Ramirez all played huge roles in the Cleveland Indians’ magical run to the World Series. Onlookers and faithful fans enjoyed a delicious meal, raffles and a walk down memory lane with Swindell who spoke of his journey to where he is today and what his plans and expectations would be for the Captains organization. Be sure to stay tuned to All Sports Cleveland and allsportscleveland.com (available on the TuneInRadio app) for complete coverage of all home games as they have become the official media partner of the Lake County Captains. We are looking forward to another exciting season of Captains baseball as were these fans, shown below, who welcomed us to join them for conversation and stories past seasons and their excitement of the upcoming season that starts on April 8, 2017. Slicker and Sue share a photo and are eager to get things under way. Pat can hardly wait for the season to start. Additional photos from the event. 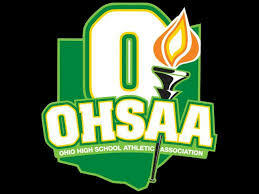 COLUMBUS, Ohio – The OHSAA announced yesterday that the Ohio High School Athletic Association StateFootball Championship will be moving back to Canton at the Tom Benson Hall of Fame Stadium. After Thursday’s 9-0 vote the tentative agreement to return to Canton was solidified. The seven games will be played at the new facility in Canton. The games were played in Canton for twenty-four years in Stark County from 1990-2013. The last three championships (2014, 2015 and 2016) were played at Ohio Stadium allowing for the renovations to take place at the Canton facility. “When we first secured the state championships in 1990, we assured the OHSAA that Stark County would produce what would ultimately become the gold standard for high school football,” President & CEO Canton Regional Chamber of Commerce Dennis Saunier said. “For the nearly a quarter century, players, coaches, students and fans experienced a well organized community that embraced the spirit of high school excellence.